Whisky-maker Ballantine’s has collaborated with Work Club and Scottish Illustrator Steven Bonner to create a custom typeface inspired by tasting notes in it’s 12-year-old Scotch. 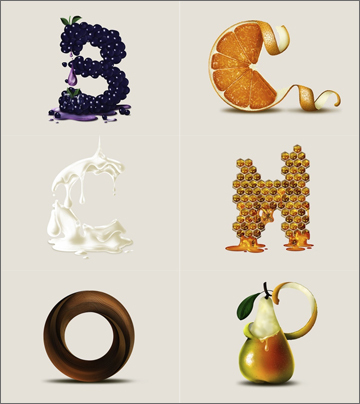 Bonner created illustrated letterforms for B (berries), C (cream), V (vanilla) and H (honey), which are the most noticeable tasting notes of the whisky. Ballantine’s fans can visit the whisky-maker’s website to create a custom Facebook cover image using the typeface.